< 20 cycles per second frequency pressure wave. Is sound that is lower in frequency than 20 Hz (hertz) or cycles per second, the "normal" limit of human hearing. Hearing becomes gradually less sensitive as frequency decreases, so for humans to perceive infrasound, the sound pressure must be sufficiently high. The ear is the primary organ for sensing infrasound, but at higher intensities it is possible to feel infrasound vibrations in various parts of the body. 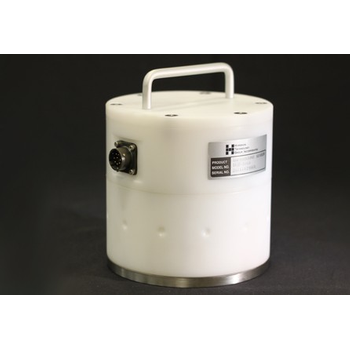 Hyperion Technology Group, in conjunction with the University of Mississippi National Center for Physical Acoustics, has developed a series of infrasound sensors sensors that are used by the military and research communities. 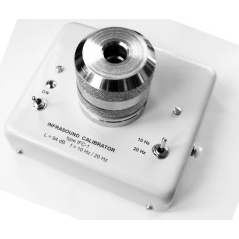 The IFS-3000 series sensor (pictured left) is a hardened sensor that is built to withstand the harshest of environments and has been used for tornado, hurricane and volcano research activities.